A first look at the company’s upcoming partnership with Hay. It’s been a year in the making, but it’s finally here: The Hay and Ikea collaboration, first announced during last year’s Democratic Design Day event, officially has a release date and it’s only a few months away. 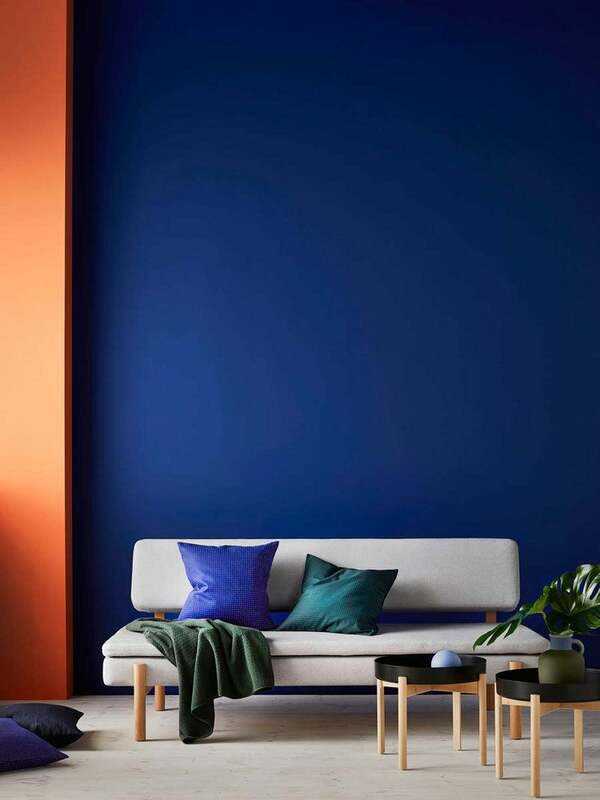 Coming in October, the Hay x Ikea Ypperlig collection includes a full range of furniture and homeware products, ranging from sleek office supplies to minimalist sofas and chairs. The Danish company, founded in 2002, is known for its contemporary designs—a Scandinavian sensibility we can expect from the upcoming collaboration. “We learned a lot of things from this collaboration that we can apply to our own company: The simplicity in the Ikea supply chain, and making something that’s complex more simple and therefore better and less expensive,” Hay co-founder Rold Hay told Dezeen. The 30-piece line is meant to “challenge people’s perception of Ikea quality and design,” though judging on the recently-released pictures, Ikea’s signature simple style will feature heavily in the collection. Hay reimagined Scandinavian classics (like a plank table and a 1950s-inspired foam sofa) as well as an Ikea favorite: The Frakta. The iconic tote has been through it all, from baseball cap renditions to a new eco-friendly material, and will now be included in the Ypperlig line in a new green and white design. While we await specifics from the collaboration—such as pricing, which we hope will be closer to Ikea’s other traditionally affordable pieces—we do know that each item from the collection seems to adhere to a mostly neutral color scheme, relying on clean lines and timeless styles that will mesh well with any aesthetic. The collection includes some furniture, like side tables, shelves, chairs, and a bench, as well as tabletop items like candlesticks and desk lamps. It also features at least two wall-hanging items: a rounded mirror with a shelf, and a clever wood-and-string storage system. Check out more items below.